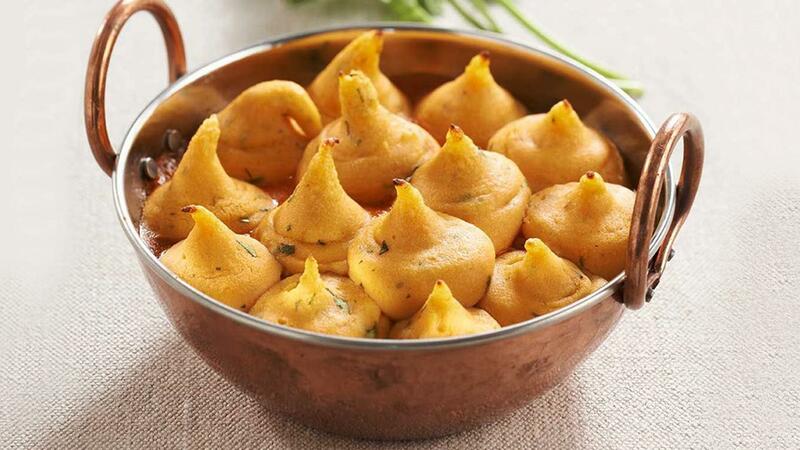 Trying to think of a twist to this classic Indian dish? Why not serve it as a pie - always a customer favourite. Cook the chicken in oil until golden. Add the KNORR Patak's Butter Chicken Sauce and simmer until the chicken is cooked through, add the water. Add the KNORR Roux to thicken. Cook for another 5 minutes then stir through the shallots. Pour the hot water in a large pot and bring to the boil, remove from heat and whisk in the KNORR Instant Sweet Potato Mash Mix until mixed. Stir in cream, until smooth. Divide the chicken mixture evenly between pie dishes and top with mashed potato. Bake for 5 to 10 minutes or until potato has lightly browned.